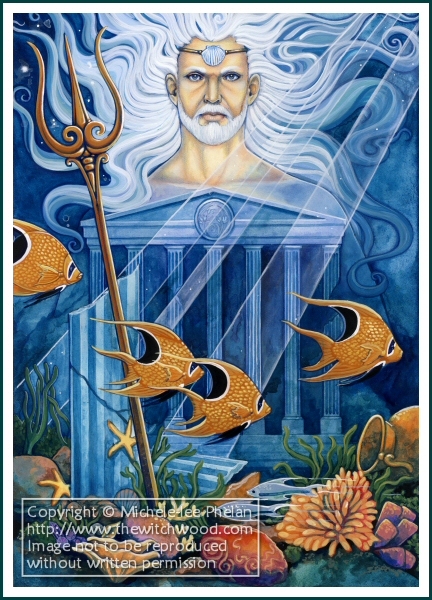 the sea-god who is lord of Helikon and broad Aigai. to be a tamer of horses and a savior of ships. Hail, Poseidon, black-maned holder of the earth! Have a kindly heart, O blessed one, and come to the aid of sailors! Hearken, dark-maned Poseidon, holder of the earth. you dwell in the foundations of the full-bosomed sea. rushing on the sea, splashing through the rippling brine. The unfathomable sea fell to your lot, the third portion. Waves and their wild dwellers please you, O spirit of the deep. bringing peace, health, and blameless prosperity. 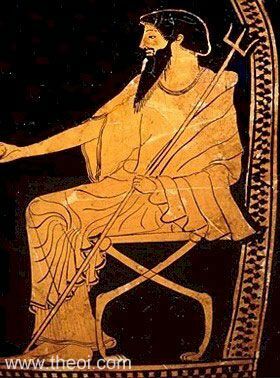 Although most people only see the god Poseidon as the Lord of the Seas, both these hymns hint at there being a broader view of Him in ancient Greece. He is the Lord of horses and Earth-shaker — both of these things dealing more with land than sea. The Homeric Hymn even states that his prerogative is not just in dealing with the oceans. Not only that, both of the hymns indicate that he has a responsibility for the foundations of the earth as he is “holder of the earth” in the Homeric Hymn and the Orphic Hymn asks him to “save the foundations of the earth”. These things are ones that as a Hellenic Polytheist who lives inland, are ways that I can still connect with him and honor him as we go into the winter season in the Northern Hemisphere — when the Athenian calendar assigns him a month (sometimes two) in his honor. There are many people who do not hold this god as being important inland — because he is just the “sea-god” in their eyes, but as the health of the oceans impacts the land, this is not a view I can support.